It’s Manicure Monday once again! I’ve been pulling a lot of inspiration from Pinterest for my manicures lately, whether it’s for the colors, the theme, or the actual design. Ideas have to come from somewhere, and Pinterest is a great place to go for inspiration of any kind! I’ve noticed a lot of manicures that incorporate feathers into their nail designs, and I absolutely love them. The problem is that I don’t actually have any feathers (a lot of these designs include placing real feathers on your nail and using polish as an adhesive!). With the help of Kiss Nail Art Paint and a bit of a steady hand, you can create your own feathery manicure! Read on to learn how. I really wanted the feather to stand out, so I chose a very natural-looking base coat. Essie’s Ballet Slippers, a pale baby pink, was perfect because it gives me just enough color to show up, but it’s still natural enough to let the feather shine. So, after your base coat, apply two thin coats of your base color. If you need three coats, it’s okay with this manicure because the nail art doesn’t really require that your polish is totally dry. 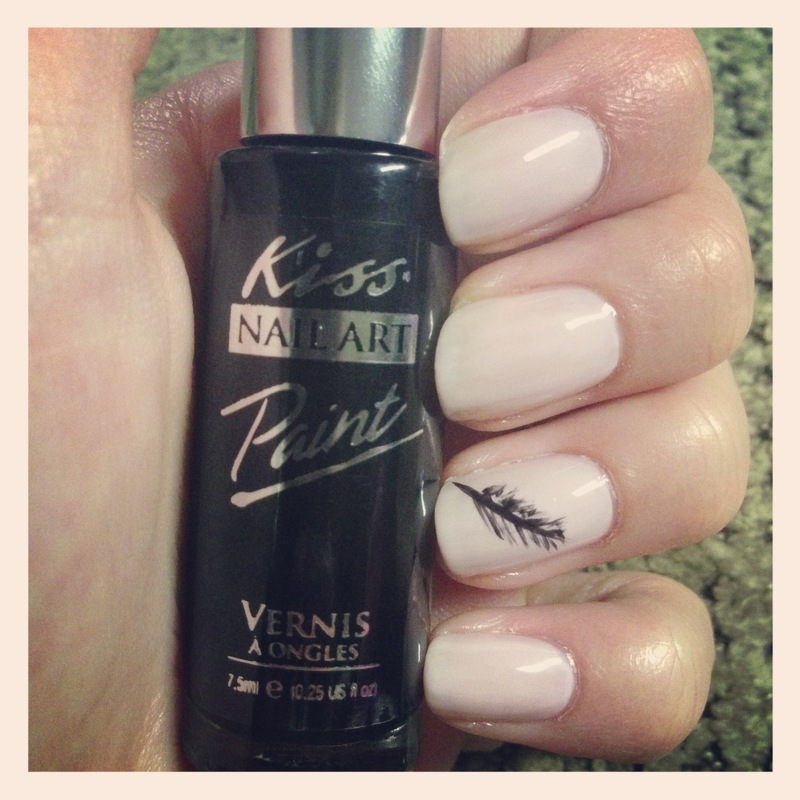 To create the feather accent, I used Kiss Nail Art Paint. These kits come with three polishes with very skinny brushes that can be used to create more detail. I absolutely love them – I use them for a lot of designs and to create French manicures. I started out with the black paint to create the feather. One long swipe of the black creates the stem (is that what it’s called on a feather?). The rest of the feather may look intricate, but I promise you it’s not. Wipe off excess polish from the brush and create short, little strokes coming out from the center of the stem. As I was making each feather, I kept thinking about how badly I was messing up. When you’re up close, creating your manicure, you’re micromanaging every single stroke you make. Once you’re finished, step away from the manicure. Hold your hand out and look at it. What looked like a bunch of messy strokes close up now actually looks like a feather. To finish off the feather, I took the silver glitter Nail Art Paint and swiped a thin stripe of glitter over the center of the feather, just to make it stand out a bit more. Let the design dry before putting on your top coat – you don’t want to smudge your new pretty feather! The beauty of this manicure (and most of my favorite manicures) is that you can change it up in so many ways! 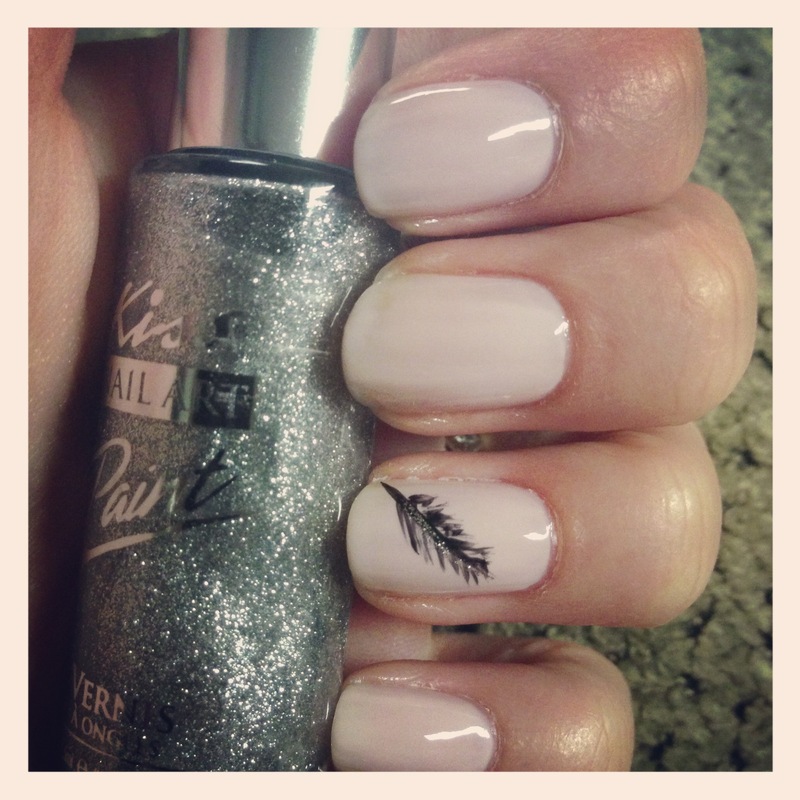 You can choose a dark base coat and use the while Nail Art Paint to create the feather – or just use a color! 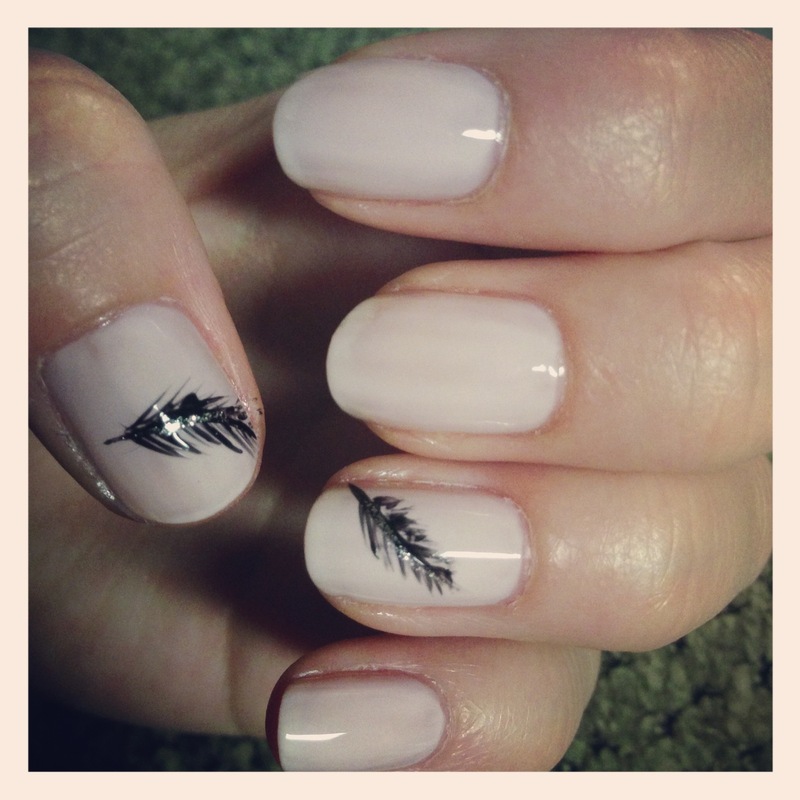 You can add a feather to every single nail – or multiple feathers to one nail! Make it your own! 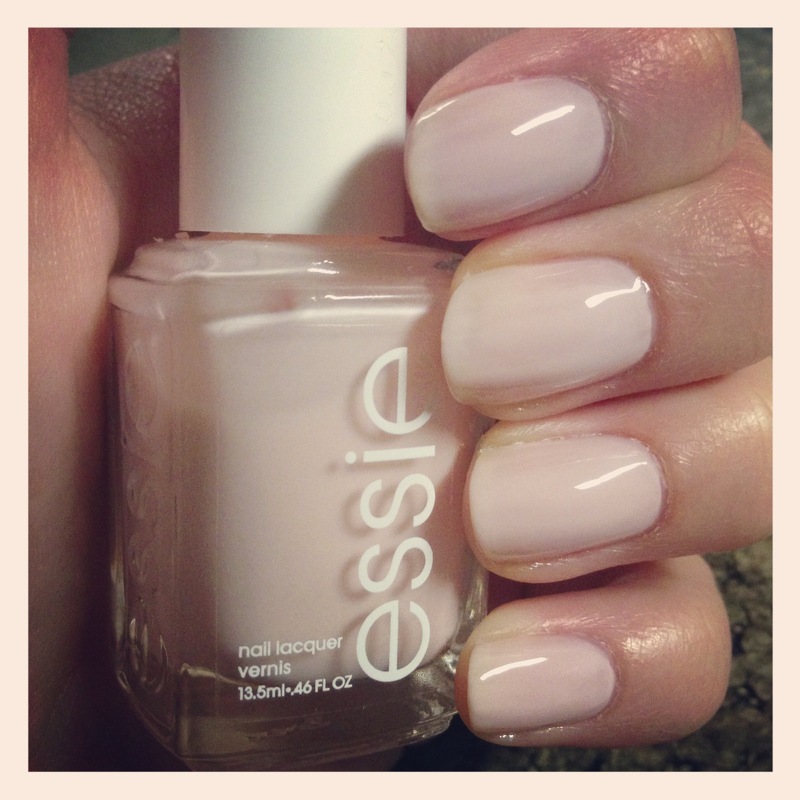 Tweet your Manicure Monday to us @Collaboreight – we’d love to retweet our favorites! Kathleen is the style editor for The Collabor-eight. She's a 23-year-old true Jersey girl; big hair, bigger heart. Her passion for beauty and makeup started with an internship at Seventeen Magazine and has grown ever since. After graduating from Villanova, she turned her love for Facebook, Pinterest, and Twitter into a full-time job as a social media coordinator! When she's not at work, she's browsing everywhere from the Internet to the streets for her own "Manicure Monday" inspiration. She believes that true style comes from a mix of high and low, designer and drugstore, expensive splurges and nearly steals!